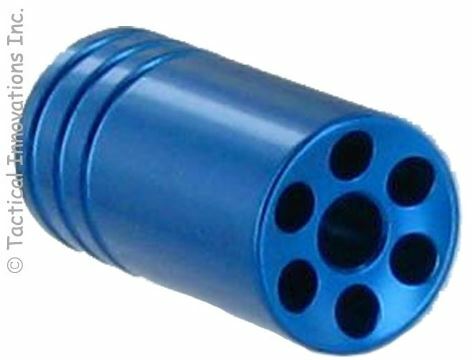 The Tactical Innovations Flash Hider for Ruger 10/22� .920 bull barrels that are threaded 1/2-28 TPI are precision CNC machined from T6 aircraft aluminum and anodized for durability. The Flash Hider is CAD engineered to eliminate muzzle flash as well as recoil and muzzle jump resulting in faster target acquisition with minimal additional length and weight. Please note that you MUST have a barrel threaded 1/2-28 TPI in order to use the Flash Hider.